The winners of the 13th Cross-Server Tournament have surfaced! The 13th Cross-Server Tournament has successfully concluded. Having made it through the intense 7-day competition, the winners have surfaced. Congratulations to the players below, they have earned the 1st place of their time zone. These players will receive big rewards! Harveen is the winner of 13th Cross-server Tournament. Congratulations! However, since Harveen once won 1st place in 8th CS Tournament. That means he has won Victoriana figurine before, and he cannot get it again. Only the strongest man in LoA can get this great honor to get this prize. Take Victoriana figurine home, Warriors! Wait for stronger you in next round of CS Tournament! For players who haven\'t won the prize, don’t worry because we won’t give the Figurine to winners who have already won it before. 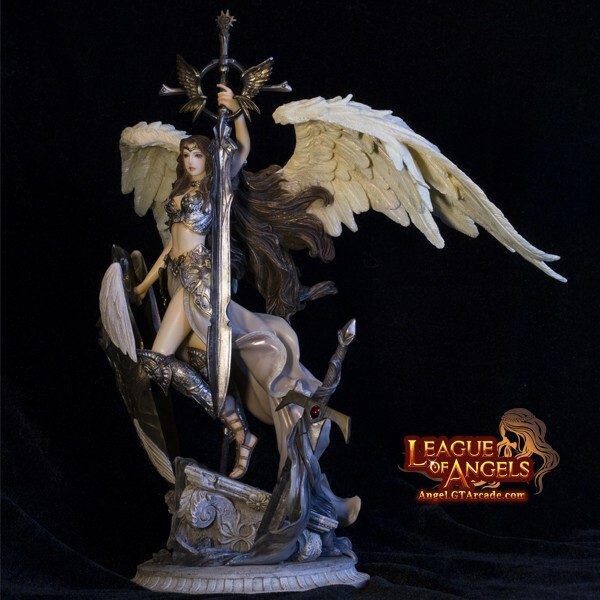 So join the next Cross-Server Tournament with optimism and maybe you will be the one who wins the next Victoriana Figurine! You said who DIDNT get the figurine , so who did get it then ? Good job to harveen being again the gta employee of the month! ;;;; The 13th Cross-Server Tournament has successfully concluded. Having made it through the intense 7-day competition, the winners have surfaced. Harveen is the winner of 13th Cross-server;Tournament. Congratulations! However, since Harveen once won 1st place in;8th CS;Tournament. ;;That means he has won;Victoriana;figurine before, and he cannot get it again. Only the strongest man in LoA;can get this great honor to get this prize. ;Take;Victoriana;figurine home, Warriors! ;Wait for stronger you;in next round of CS Tournament! For players who haven\'t won;the prize, don’t worry because we won’t give the Figurine to winners who have already won it before. So join the next Cross-Server Tournament with optimism and maybe you will be the one who wins the next Victoriana Figurine! L M A O defeating harveen in GMT and winning is never gonna happen he\'ll always win there, so others got no chance lol. Wow, and they tell us not to worry they won\'t give it to the same person twice. He gets beat in crosserver clash of might and has lost in the tournaments too. Just keep spending even if you must sell you house kids car and boat. You can do it. Say Yes I CAN. 2019-4-19 07:08 GMT+8 , Processed in 0.068649 second(s), 52 queries .